After only six hours of the Rave In The Redwoods being released, the Easter Egg has already been solved by TheWalkthroughKing on YouTube. 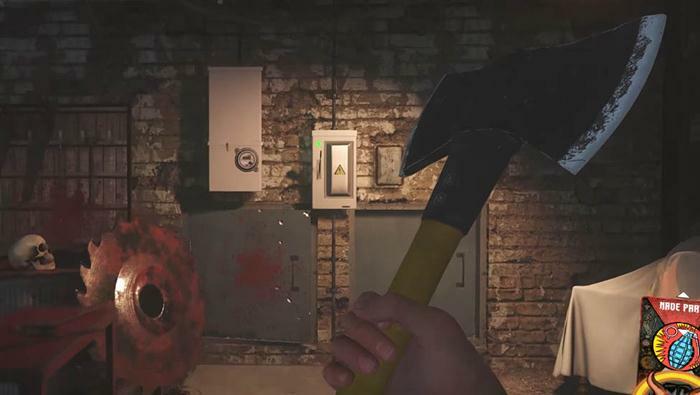 In this post, we'll be showing you how to complete the Rave In The Redwoods main Easter Egg and unlock the locksmith trophy. 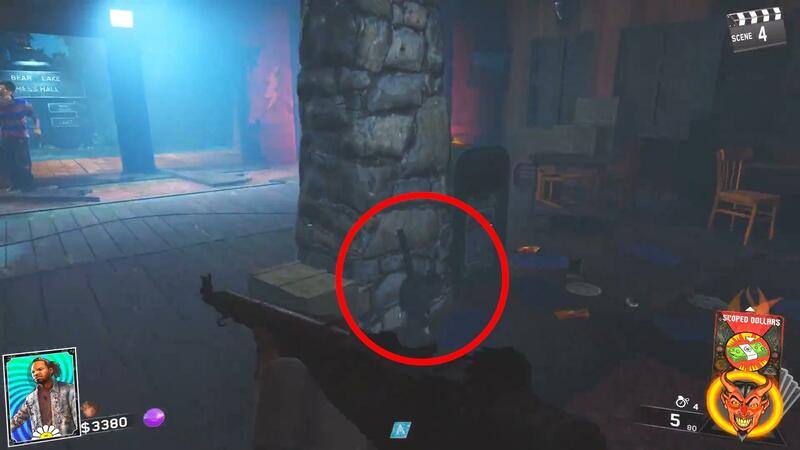 It's worth noting before continuing that the Rave In The Redwoods Easter Egg can be completed solo, so have fun! The first three steps are fairly easy to do, so if you know how to turn on the power, build the boat and pack-a-punch, skip ahead to Step 4. If not, we've provided some links to out other guides on how to complete each step. Turning on the power will grant you access to all of the other areas in the map and turn on the Perk Machines, making completing the Easter Egg much easier. 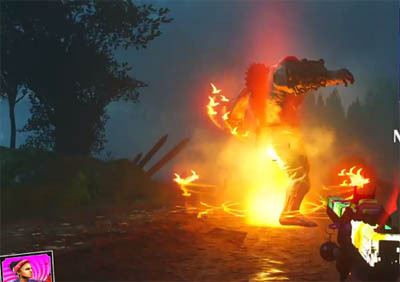 If you need help turning on power check out our guide on How To Turn On The Power In Zombies In The Redwoods. Building the boat is not only essential for you to be able to move around the map as quickly as possible, but it's also an important step in being able to Pack-A-Punch your weapons. 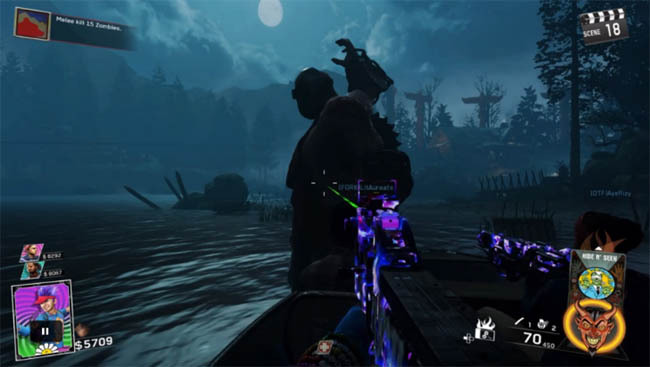 If you're strugglnig to find all three parts to the boat, you can check out our How To Build The Boat In Zombies In The Redwoods guide. Opening Pack-A-Punch is fairly easy to do, so check out our How To Pack-A-Punch Zombies In The Redwoods guide for a simple walkthrough. Make you way over to the island via the boat that you've built and walk into the projector room and talk to Kevin Smith. He will give you a hint which will officially start the Main Easter Egg. The fourth photo in the inventory consists of 3 smaller ‘’dirty’’ scraps. Gather all scraps/photos and complete the linked ritual for it. You can only do this once every round, so it will take no less than 3 rounds to complete. The second photo can be found upstairs from the spawn on a balcony outside of where the Tuff-N-Uff perk is. The third photo can be found on the floor by the weel in the generator room. The second ritual is in the recreational area in front of the quickies/speed cola perk. You will need explosive kills for this ritual. When you are at a ritual area press square on (hold to place item) which will start an unlimited rave mode. 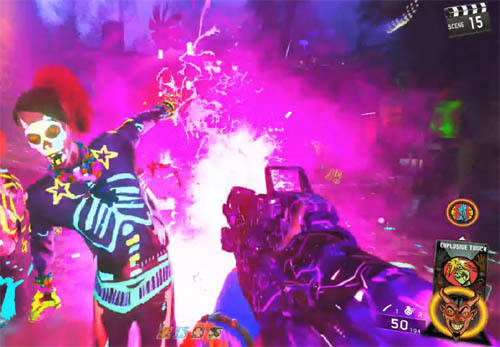 Kill zombies close to the area and the slasher will end the rave mode once you have completed the challenge. Do this for every photo and make sure to pick up the item when you have finish the ritual. The fourth photo will be clean after completing all three of the rituals. Head to the generator room where the power switch is located, here you'll see some red buttons. 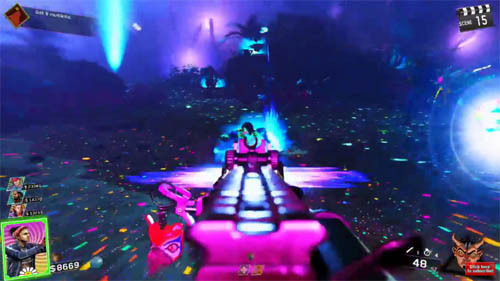 Every player in the game must interact with a red button at the same time to proceed to the next step in the Easter Egg. After doing the previous step, Kevin Smith will appear in the boat by the lake. Make sure you are all set-up before going into to the boat because there won’t be a way back. It's important that you have your weapons pack-a-punched and as many perks as possible to ensure you don't die whilst fighting him. 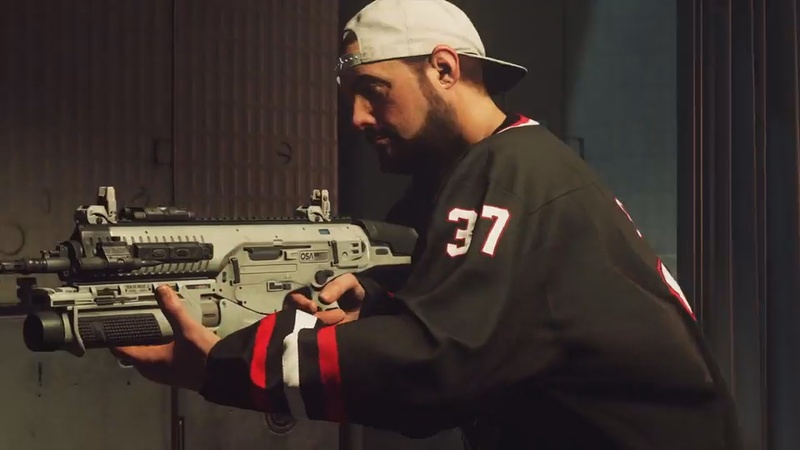 Once you are in the boat, Kevin Smith will fall out and turn into a huge brute boss monster. 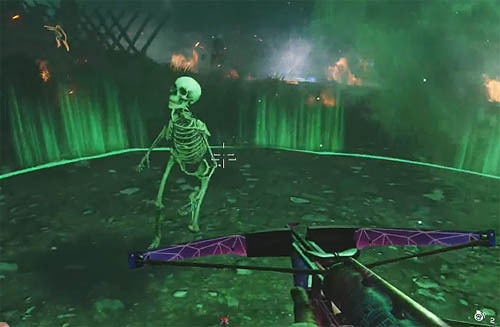 Tip - Having the Crossbow is needed for the boss fight. If you're unsure on how to get the crossbow, check out our How To Get The Crossbow In Rave In The Redwoods guide. After the previous step, all players will be teleported to a new secret area where you have to kill the huge brute. The objective here is to kill zombies close to the blue, glowing soul balls and avoid the being killed by the brute boss. You will instantly die if he stomps on you so make sure you keep your eye on him and keep moving. Continue doing this till the blue, glowing soul balls are full and go up into the air. In this stage of the boss fight, the objective is to get the brute stuck into the tether trap by making him walk into a blue circular totem on the ground. 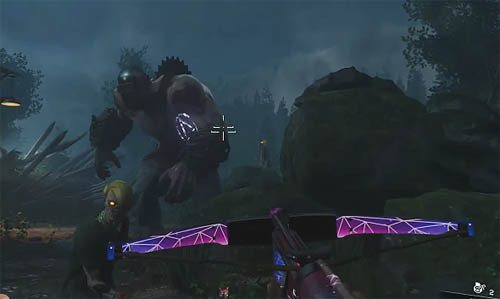 Use the crossbow on the brute when he is trapped to move onto the third stage of the bossfight. This time the brute will have blue, glowing areas on his body showing you where to shoot him with the crossbow. Keep doing this until he disappears for a moment. In this stage green spheres will spawn and the objective is to kill skeletons inside of the green circle/sphere. 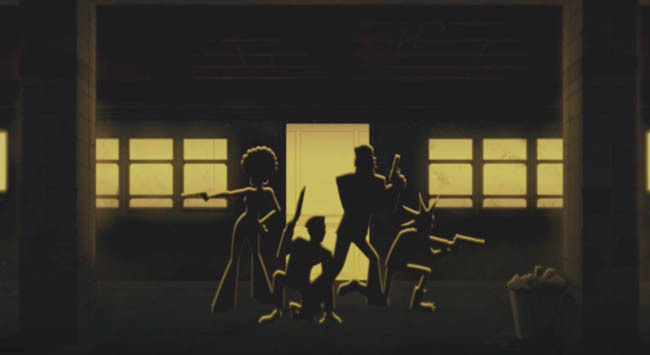 Each player must stand within their own circle and fend off the skeletons. Repeat the four stages until the boss brute takes normal damage and use your guns to do as much as damage as possible until he dies. Once he dies, pick up the soul key and the ending cutscene will be played.